It’s back! 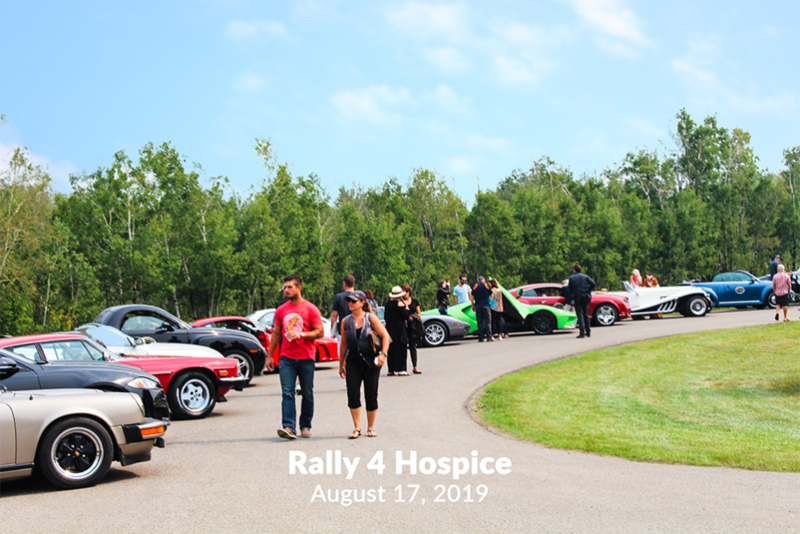 You’re invited to take part in our 2nd Annual Rally 4 Hospice fundraiser. The paved route and checkpoint locations will be kept under wraps until the day of event. Clues will be distributed at each checkpoint and will lead the driver and navigator to their next destination and task. The format is simple – follow the clues, complete the tasks and raise a whole lot of money for charity! This is NOT A RACE. Trophy and prize package will be awarded to the team that accumulates the most points. Vehicles of all makes & models welcome. Registration $1,000 | Includes one vehicle entry, lunch for driver & navigator and two Gala tickets. Additional rally passengers may register for $125 each (includes lunch & gala ticket). Following the rally, we welcome all friends of the Hospice to an evening gala at Spruce Meadows. Guests will enjoy an incredible evening of philanthropy complete with a strolling dinner, rally awards ceremony, dueling pianos entertainment and live auction by Danny Hooper Productions.